So the first use, the pedagogical use of the law is seen as a “new exhibition” of the covenant of works (CoW). This is sometimes called the recapitulation of the CoW. This is interesting (at least to me), as Edwards links “recapitulation” with the first use of the law. These, it would seem, are one and the same. This makes sense, as anyone outside of Christ stands under the condemnation of the CoW, in their federal head, Adam. The law comes and rubs their noses in it. Then the good news of the Gospel comes to free them from that condemnation of the CoW. In the Gospel, we’re freed to serve Christ in accordance with his law. Edwards calls this the “rule of life,” as it is the path of blessing and life in fellowship with God. This is the third use of the law. The law of God ought not be overly simplified, or made to fit just this mold or that one. Its uses are many – from the humbling of sinners to the instruction of God’s people in the way they should go. Thank God for his law! Is this a compelling to you as it is to me? I’m straight up giving it the hubba hubba. I love the symmetries of divine providence, and I love teachers that are able to see and communicate them. Part 3 of Edwards’s first period deals with the development of the history of redemption from Abraham to Moses. As with prior two parts, Edwards has the whole of God’s revelation (from beginning to end) in mind as he handles any given part of it. In this part, Edwards’s analysis seems to fall into two categories: development and preservation. Development: In Abraham, Edwards sees a new phase, or “a new a great thing, that God did toward the work of redemption.” Part of the newness is the calling of Abraham out from idolatry and setting him apart to live separate from the rest of the world. God effectively segregated his people from the nations until, in the New Covenant, his people should include the nations. Edwards also sees a great opening of the revelation of God concerning the Covenant of Grace (CoG). God made many promises to Abraham, in which we find more clarity and more detail of God’s redemptive plan. Most notably, we see that faith plays a central and indispensable role. Edwards calls faith “the great condition of the covenant of grace.” He also notes that, in the time of Abraham, gave great “seals and pledges” of the righteousness of faith, specifically circumcision. Edwards finds many types of Christ that are, well, atypical for most modern exegetes. Two examples: the rock on which Jacob rested his head in the place (Bethel) where a great altar to Yahweh was built. Also, Joseph is shown to be a type of Christ, replete with many wonderful typological details of his life. Finally, there’s the narrowing pedigree of the Messiah’s lineage. Edwards sees the path narrow from Noah, to Abraham, Isaac, Jacob, and Judah. Edwards rightly makes much of the prophesy in Genesis 49 regarding Judah. All these things are developments of the CoG in the time from Abraham to Moses. For Edwards, the redemptive work of Christ is always in mind. His christocentric reading of the Bible is refreshing, especially in contrast to dispensational distortions, which tend rather to focus on national Israel and the land of Canaan. Edwards sees all the development and preservation in light of God’s redemption in Christ. This post will be a few of my thoughts regarding Part 2 of Period 1 of Jonathan Edwards’s A History of the Work of Redemption, a book well worth reading. In this part Edwards considers the period of redemptive history running from the flood right on up to the calling of Abraham. First thing is that Edwards is consistent in understanding the Biblical data through the lens of the unfolding covenant of grace. This means that he sees each part in its relation to the whole of God’s redemptive plan, and he does so consistently. In short, he’s a good Bible reader/interpreter. Edwards notes, in his analysis of the flood, that God could have converted all the people of the world, but instead he chose to wipe them out. This most obvious fact flies in the face of so much Evangelical speak regarding God, who sits in heaven wringing his (supposedly) divine hands, just wishing things could be otherwise. The Bible knows men who are impotent like that, but it don’t know God like that. It knows the God who disposes of the sons of men exactly how he will. HE is the potter… deal with it. The distribution of peoples all over the world after Babel, Edwards sees as set up for the later explosion of the gospel in the New Covenant. But even with that future glory in mind, he notes that, quickly after Noah, the people of God fell into apostasy. It’s worth noting that it really doesn’t take long (not even in the glorious era of the New Covenant) for us to lose the gains made by our fathers. Let us be zealous to read and appreciate the fathers. Let us receive what they’ve given. Let us self-consciously glory in that wonderful heritage. But let us do all that always in the light of God’s infallible Word, which is the canon. That is Reformed Catholicism. 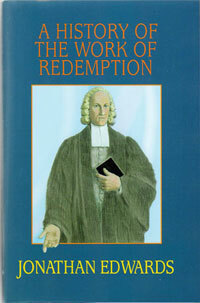 Some friends and I are working through Jonathan Edwards’s A History of the Work of Redemption. I’ve already posted twice on his introduction. One more introductory remark: this work is set up to take the reader through redemptive history, from the fall to the return of Christ. Edwards breaks history down into three major periods: 1) From fall to Christ’s advent – a period of shadows and promises, 2) from Christ’s birth through his resurrection – a period of the procurement and purchasing of redemption, and 3) from the resurrection of Christ to the end of the world – this period “is all taken up in bringing about or accomplishing the great effect or success of that purpose [of redemption]” (The Works of Jonathan Edwards, 2:536). Further, he divides up each section into parts. In this post, I’ll make some observations about Part 1 – From the Fall to the Flood. Edwards is very clearly trinitarian and christocentric in his view of the early chapters of Genesis, which is to say, his view is Christian. True religion was, for Edwards, always mediatorial. Where there is divine mercy toward fallen men, there must be a mediator. How do you think Edwards would account for so-called common grace? Is the rain that falls on the unjust also purchased by Christ’s redemption? Another interesting thing that seems to come up numerous times in this part is that Edwards often identifies Christ’s three mediatorial offices: prophet, priest, and king. Edwards sees all post-fall divine revelation as Christ operating in his prophetic office. He sees all intercession as Christ discharging the duties of his priestly office. Finally, he sees divine governance of the people of God (which he consistently [and rightly] calls the Church) and of the whole world as Christ’s kingly work. We find what I like to call tectonic theology right here at the beginning of Edwards’s Redemption. 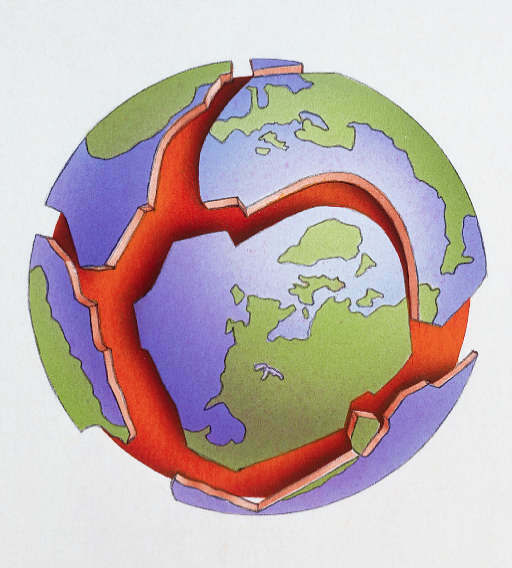 Tectonic theology is the deep, under-girding concepts in the Bible that give form and foundation to all theological thought. Edwards identifies what’s historically called the Covenant of Redemption and the Covenant of Grace early on in Edwards’s Redemption. I’ll take just a second of your life to explain these phrases. The Covenant of Redemption (CoR – sometimes called pactum salutis or consilium pacis) is that eternal, intra-trinitarian covenant, which forms the eternal basis for all the redemptive work that the triune God does in time and history. Simply put, the Father promised a people and a kingdom to the Son. The Son, in turn, promised to humble himself to purchase and redeem that people. We see biblical evidence of this in the following texts: Eph 1:4-6; 2 Tim 1:9; Jn 5:30, 6:38-40, 17:4-5; Phil 2:9-11; Lk 22:29; and Psalms 2 & 110. That will give you merely a start. The Covenant of Grace (CoG – sometimes called foedus gratiae, from which Covenant Theology gets the name Federal Theology) is the unified redemptive plan of God that runs from the post-fall Garden of Eden to the very last person redeemed a split second before Christ returns. The unity of the CoG (that is, the unity of God’s redemption) can be easily demonstrated by following at least two specific phrases which are used regularly in the Bible to refer to that redemption. The first phrase is “I will be your God and you will be my people.” We find this phrase from Moses (Lev 26:11-12) to the prophets (Jer 31:31-34), to the New Covenant (2 Cor 6:14-16 & Heb 8). The second phrase is “I will dwell in the midst of them,” that is, God dwelling in his people’s midst. This phrase is used from the beginning (Ex 29:43-46 & Num 35:34) to the end of the Bible (Rev 21:1-3). Indeed, these two phrases reveal the heart of God’s redemption: To be our God and to dwell (with glorious fellowship) in our midst. That redemptive aim (that is, the CoG) is the central theme and the controlling theological notion in the Bible. The CoG provides meta-narrative which runs through and supports the entire story of the Bible as it unfolds. It lays down the theological tectonic plates on which the whole of biblical revelation is built and stands. As Edwards deals with the beginning chapters of Genesis, he already has all this (and a great deal more!) in hand. He self-consciously keeps these things in mind as he carefully handles the text. Is he correct in this? Is this legitimate biblical exposition and analysis or is it just reading a lot into the text that’s simply not there? One more post on Edwards’s general introduction to A History of the Work of Redemption. First, I’ll make a comment on Edwards’s larger purpose for this work and, second, I’ll make some observations about Edwards’s theology revealed in his introduction. This work (History of Redemption for short, or just Redemption if you’re really trying to save time), as mentioned in the last post, was actually a series of sermons. These sermons were preached in 1739 and were edited for posthumous publication in Scotland in 1774. Edwards’s plan for this, however, was much greater than a series of sermons. His vision was to use the history of redemption (from the fall to the end of the world) as a framework for his systematic theology. This notion of organizing a system of doctrine around the historical progress of divine revelation is really quite something. It’s a creative and ambitious project. Edwards was so intent on completing this specific project that he almost turned down the offer of the Presidency of the College of New Jersey (Princeton), as he thought that job might not allow him enough time to complete this project. As it turns out, it wasn’t the Presidency that sapped his time, but death. He died of complications from a small-pox inoculation just a handful of weeks after taking up his Presidency. Too bad for us that he didn’t live to complete this project, but I wasn’t God’s plan. Now, a couple observations of Edwards’s theology: First, he lays down a thorough-going covenant theology, including the intra-trinitarian covenant of redemption. That’s the eternal covenant between the persons of the Trinity, on which all the works of God in history (ad extra) are based. Edwards makes me very happy. Second, like most Christian thinkers I know of (except classical dispensationalists), he sees the saving benefits of Christ’s redemptive work as the same in all ages/dispensations of the church. That is, for example, Adam, Abraham, Moses, David, the Apostle Paul, and my next door neighbor, Ian, all enjoy the same benefits of salvation purchased by Christ: calling, justification, adoption, sanctification, and eternal glorification. Classical Dispensationalism has done its utmost to confuse this, dividing, as it does, the people of God into different groups with different purposes and ends. Edwards shows himself, at this point, to be in the mainstream of Christian thought. Finally, I don’t know for certain, but it appears that Edwards is a supralapsarian. He sees (I think rightly) creation simply as a means to God’s redemptive work. Maybe better, Edwards speaks of God’s creation merely as theater in which the great work of redemption was to take place. The lapsarian debates are mind-numbing, but I figured I’d toss this last one in for those who like that debate. For the record, I’m friends with both supra- and infralapsarians. I got enough love to go around. Some of the men at our church (and one or two from Reformation Orthodox Presbyterian Church here in Olympia) have decided to read through Jonathan Edwards’s A History of the Work of Redemption. In this post, I want simply to make an introductory remark and then comment on Edwards’s general introduction to the work. By way of introductory remarks, this work is a series of sermons edited and published by John Erskine (d. 1803), a minister in the Church of Scotland and a personal correspondent of Edwards. Thus, this work was not intended by the author for publication. In fact, it was Edwards’s son, Jonathan Edwards, Jr., that sent the manuscript to Erskine for posthumous publication in Scotland, as he couldn’t get it published in America. 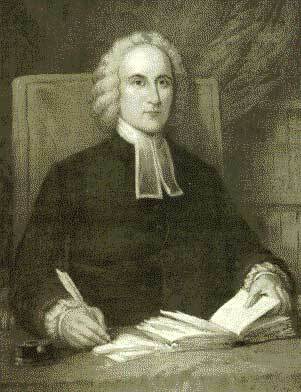 (It was first published in 1774 – Jonathan Edwards died in 1758.) That means that we shouldn’t expect this work to be as polished as something that Edwards intended to be published. As to Edwards’s general introduction, the depth of Edwards’s exegetical work on Isaiah 51:8 is quite remarkable. The text reads, “For the moth will eat them up like a garment, and the worm will eat them like wool; but my righteousness will be forever, and my salvation to all generations.” This text is the jumping-off point for Edwards to examine the progress of the work of divine redemption which began at the fall and continues through to the return of Christ and the general judgment, which is the end of the world. Edwards doesn’t merely use Isaiah 51:8 as am unexamined proof text, but he scrutinizes the text within its immediate context and he considers the biblical use of the words and phrases in the verse. This indicates that Edwards is not only serious about the concept he’s trying to get across, but he’s quite serious about the texts on which he grounds the concept. Questions: Does Isaiah 51:8 provide an adequate foundation Edwards’s work? Does it need to?